I was recently asked to review GlowBowl, a nightlight for toilets.I live in FL and I am always paranoid that a snake or lizard will be in the toilet, so I always turn on the light in the middle of the night when I have to use the bathroom. Now with GlowBowl I don’t have to do that anymore! 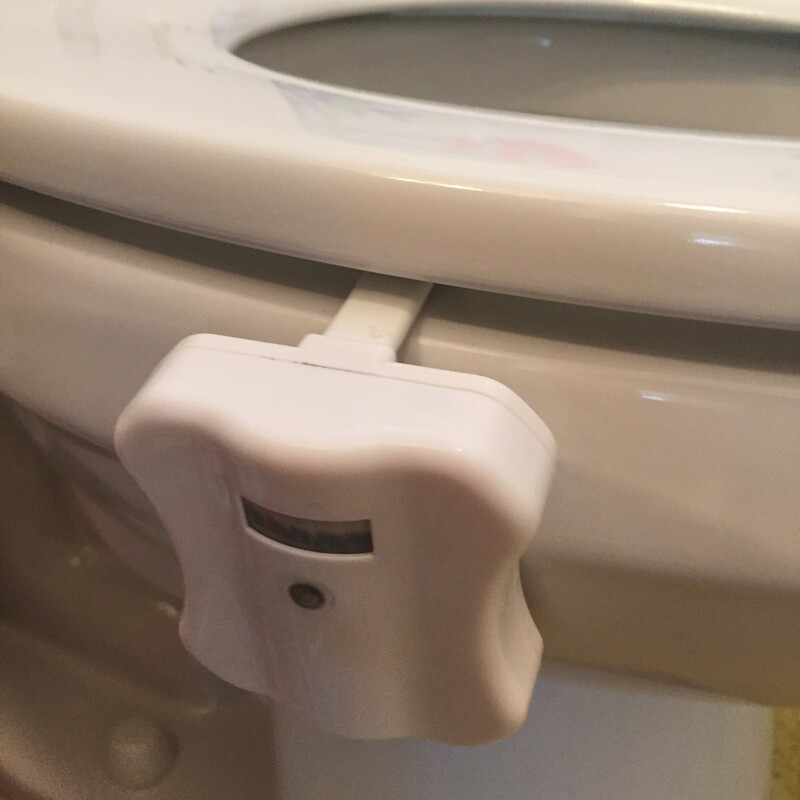 It is motion activated, The Glowbowl activates when you enter and deactivates when you leave. 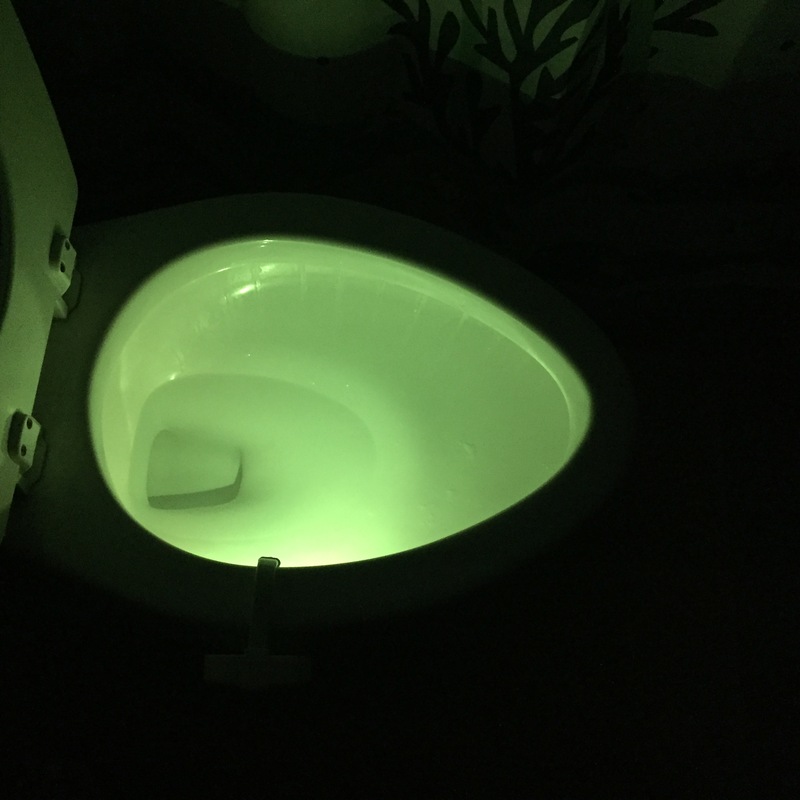 Patented design allows for glowbowl to fit on any toilet. Glowbowl’s flexible arm allows it to be bent into any configuration creating a snug fit for any shaped bowl. Glowbowl’s dimmer feature allows you to further customize your preferences by selecting the level of brightness you desire. 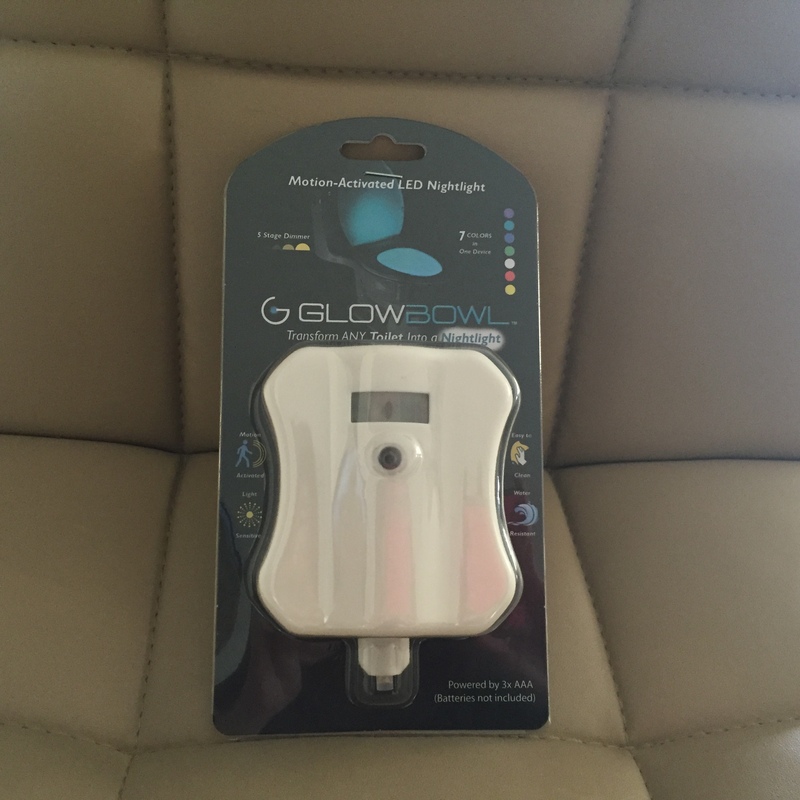 The GlowBowl installs very easily to the side of the bowl, you will need 3 AAA batteries which aren’t included. We had a house guest for a week and put this in the bathroom our guest used. She absolutely raved about GlowBowl. It is so great not to have to worry about turning the lights on in the middle of the night. I love how this comes on right when you enter the bathroom, and then turns off once you leave. 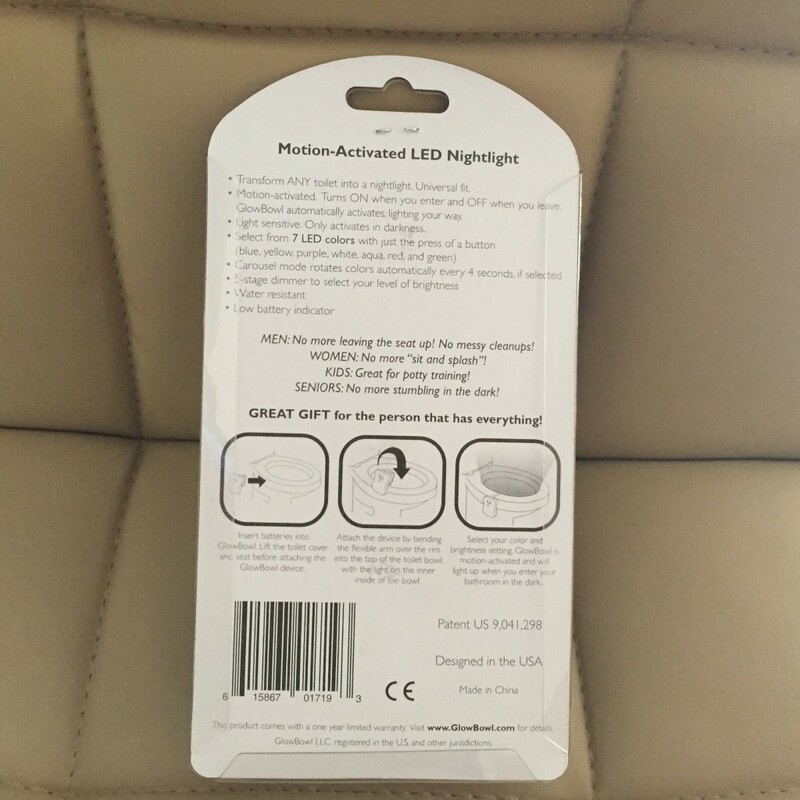 All of the 7 colors are very vibrant, and you can control the level of brightness which is a big plus. My 4 year old son is so excited to use the potty at night now! You cannot go wrong with GlowBowl! You can order yours here for $19.99.